Bronnadh saoirse Bhaile Átha Cliath agus Chorcaí air i 1912. I 1919 bhronn Ollscoil na hÉireann dochtúireacht air. Ainmníodh craobh de Chonradh na Gaeilge as chomh luath le 1900. Comharthaí iad ar an tábhacht a bhain leis lena linn. Ba é an scríbhneoir é is mó a mhúin an teanga agus is troime a d’fhág a rian ar scríobh na Gaeilge i dtús na hathbheochana. Rugadh é ar 30 Aibreán 1839 i Lios Carragáin i gceantar Mhaigh Chromtha mar a raibh féar seacht mbó ag a athair Diarmuid. Tá cuntas ar a mhuintir ag Seán Ua Súilleabháin (‘The O’Learys of Liscarrigane’) in Back to our roots: a history of Garrane National School and the Parish of Clondrohid, 1999, edited by Pat Kelleher and Michael O’Connell. Bhí gaol i bhfad amach le Diarmuid ag a bhean Siobhán Ní Laoghaire ón Mullach Rua in aice le Cuillinn Uí Chaoimh. Bhí tamall caite aicisean ag múineadh i scoil Laidine a dearthár i gCeann Toirc. Bhí páistí eile ag an lánúin seachas Peadar. Rugadh leanbh nár tugadh a ainm sa chlár in 1837; Ellen in 1841; Patrick in 1843; leanbh eile nach bhfuil a ainm inléite sa chlár in 1848; Margaret in 1850. I measc mhuintir an choirp ina shochraid bhí a nianna D. O’Leary agus Hugh Morrison agus a neacht Miss Morrison. Bhí Béarla agus Gaeilge “os cionn an chliabháin” aige. Go raibh 13 bliana aige bhí se ag fáil oideachais cois teallaigh óna mháthair. Bhí cuid de clasaicigh an Bhéarla sa teach le léamh aige. Ó 1852 go 1855 bhíodh sé ag freastal ar scoileanna Charraig an Ime agus Mhaigh Chromtha; ó 1855 go 1859 bhí sé ag foghlaim i scoileanna Laidine i Maigh Chromtha agus i gCeann Toirc; chaith sé dhá bhliain ansin i gColáiste Cholmáin i Mainistir Fhear Maí sula ndeachaigh sé go Maigh Nuad in 1861. Oirníodh é in 1867. Bhí sé i rang Gaeilge i Maigh Nuad (feic Doneraile, 1968, le Anthony Gaughan) agus bhuaigh sé an dara duais sa Ghaeilge sa bhliain deiridh. Deir Gaughan nach fíor in aon chor gur bhain sé duais aonair ná aon duais eile sa Bhéarla. Dúirt Ó Laoghaire gurbh í eachtra na duaisaiste sin a chuir cor mór i gcúrsa a shaoil (Mo scéal féin, 1915). Ní luann sé in MSF go raibh sé riamh in aon rang Gaeilge agus ní thugann sé aon chuntas ar conas a d’fhoghlaim sé léamh agus scríobh na teanga. Is ródhócha gurbh i Maigh Nuad a fuair sé an scil sin. Bhí sé ina shagart cúnta sna paróistí seo: Cill Sheanaigh (1867–8); Cill Uird (1868–72); Ráth Chormaic (1872–78); Maigh Chromtha (1878–80); An Ráth (1880–82); Cill Uird (1882–4) – tamall den tréimhse ag feidhmiú mar shagart paróiste; Dún ar Aill (1884–91). Ceapadh é ina shagart paróiste i gCaisleán Ó Liatháin ar 10 Feabhra 1891. I gCill Uird chuir sé rang agus leabharlann ar siúl do bhuachaillí an bhaile. Bhí obair staonadh ón ólachán i gceist. Bailíodh airgead chun uirlisí ceoil a cheannach agus fostaíodh saighdiúir i Mainistir Fhear Maí chun ceol a theagasc. Bhí rang aige i Ráth Chormaic freisin agus thug sé iarracht ghairid mhíshásúil ar Ghaeilge a mhúineadh ansiúd as leabhair bheaga Chumann Buanchoimeádta na Gaeilge. I Maigh Chromtha dó chuir sé litir chuig Aontacht na Gaeilge. Foilsíodh í sa Freeman’s Journal (theip ar an Athair Ó Cuív teacht air agus é ag liostú saothar Uí Laoghaire. Deir Brian Ó Cuív in Éigse 1960–61, 1. 247–51 gurbh í an litir a bhí i gceist an ceann a foilsíodh in The Irishman ar 4 Bealtaine 1878). De thoradh na litreach sin d’iarr ógánaigh sa bhaile, cainteoirí dúchais, air rang Gaeilge a chur ar siúl agus bhí siad ag foghlaim léamh agus scríobh na teanga uaidh. Thosaigh sé ag múineadh Laidine freisin. Níor thaitin sin leis an sagart paróiste. Aistríodh é ó thuaidh go dtí an Ráth mar a raibh sagart paróiste ar theastaigh scoil Laidine uaidh. I measc na ndaltaí a bhí ag an Athair Peadar bhí Daniel Mannix a bheadh ina Ardeaspag ar Melbourne. Bhí sé ina chathaoirleach sa Ráth ar chraobh de Chonradh na Talún. Tá cuntas aige in MSF ar óráid i nGaeilge a thabhairt ó ardán i dTulach Léis chun bob a bhualadh ar thuairisceoir an rialtais. Is féidir a rá gur thosaigh saol poiblí an Athar Peadar nuair a bunaíodh Conradh na Gaeilge. Ocht mí ina dhiaidh, ar 27 Márta 1894, a casadh Eoin Mac Néill, Seosamh Laoide agus ceannairí eile an Chonartha air ag comhdháil a bhí ag an gConradh i dTeach an Ard-Mhéara i mBaile Átha Cliath. Labhair sé féin leis an tionól seo. Bhí Séadna á fhoilsiú in Irisleabhar na Gaedhilge ó Shamhain 1894 go hAibreán 1897 le linn do Mhac Néill a bheith ina eagarthóir. Tá scéal an aighnis le Mac Néill agus leis an gConradh inste ag an Athair Shán Ó Cuív in “Caradas nár mhair”, aiste in The Scholar Revolutionary (1973) in eagar ag F. X. Martin agus F. J. Byrne. Stop á chur le srathú Séadna san Irisleabhar agus litriú an tsagairt á cheartú garchúiseanna an aighnis sin. Ní deas an pictiúr den sagart atá le feiceáil i gcroinic an aighnis úd ag an Athair Ó Cuív. (Ach is fiú léacht a thug an tOllamh Pádraig Ó Fiannachta mar chuid de chomóradh 150 bliain an Athar Peadar a léamh. Cuntas é ar a aigne i leith litriú na teanga agus cúrsaí eile mar is leir é sna litreacha a sheol sé chuig ‘Beirt Fhear. Tá an léacht i gcló in Anois, 31 Nollaig 1989 agus 7 Eanáir 1990). Tá an leithleachas go háirithe le tabhairt faoi deara freisin sa díspeagadh a rinne sé ar leabhair leis an Dr Micheál Ó Síocháin sna paimfléid a chuir Muintir na Leabhar Gaeilge amach sa tréimhse 1907–12 i dtaobh na faillí a bhí an córas oideachais a dhéanamh i saothar an Athar Peadar. D’fhoilsigh Tomás de Bhaldraithe comhfhreagras in Clocha ar a charn, 1982, a thaispeánann go ndearna an sagart gearán ar leabhair le Pádraic Ó Conaire, go raibh siad graosta. Sa dá chás is é a thabharfadh duine leis gur ag iarraidh go mbeadh a leabhair féin ar chúrsaí scoile agus ollscoile a bhí sé. I ndiaidh 1915 bhí meas cumainn polaitiúil aige ar Chonradh na Gaeilge agus dhiúltaíodh sé aon bhaint a bheith aige leo. Ní nach ionadh i gcás sagairt dá aois a bhí scanraithe ag Fíníneachas in 1867, bhí sé in aghaidh na láimhe láidre chun saoirse a bhaint amach. Bhí litir ag Stiofán Mac Enna in An Claidheamh Soluis 17 Meitheamh 1916 ag iarraidh ar an Athair Peadar bheith ina uachtarán ar Chonradh na Gaeilge, tharla an post folamh go fóill i ndiaidh don Chraoibhín an eagraíocht a fhágáil, agus tharla Eoin Mac Néill bheith i bpríosún. D’iarr sé freisin ar Chonraitheoirí scríobh chuig ardrúnaí an Chonartha, ‘welcoming to the presidency of the Gaelic League the most fertile and varied author whom Gaelic Ireland has ever produced’. Tá leabharliosta an Athar Peadar in Celtica, Iml. 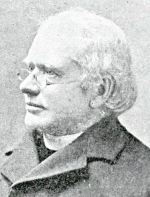 ii, cuid a 2 (Forlíonadh): “Materials for a bibliography of the Very Reverend Peter Canon O’Leary 1839–1920”. Cuntas a mholann agus a liostaíonn a shaothar litríochta agus teanga is ea An tAthair Peadar Ó Laoghaire agus a shaothar, 1939, le “Maol Muire” (an tSiúr Mary Vincent). Tá tráchtas Uí Chuív “An tAthair Peadar agus a lucht comhaimsire” gan foilsiú go fóill. Scríobh Cyril Ó CéirínAn tOilithreach Gaelach, 1973, chun fiúntas MSF a chur ar a súile do mhic léinn agus chun a léiriú gur scéal fáthchiallach comharthach é. Ar 24 Bealtaine 1970 eagraíodh siompóisiam i Maigh Nuad in ómós dó agus labhair Tomás Ó Floinn, Seán Ó Ríordáin agus an tAthair Tadhg Ó Murchú. Foilsíodh go leor aistí in irisí i ndiaidh a bháis. In 1987 foilsíodh eagrán Liam Mhic Mhathúna de Séadna agus cuireadh eagrán nua amach in 2011. Foilsíodh eagrán speisialta de Feasta le hómós dó i mBealtaine 1989. ‘Saothar an Athar Peadar’ ba ábhar do Léachtaí Cholm Cille 2014 agus foilsíodh na léachtaí in Léachtaí Cholm Cille XLV: Saothar an Athar Peadar (2015), in eagar ag Eoghan Ó Raghallaigh. Ar deireadh thiar admhaítear go coitianta go ndearna sé éacht sna 25 bliana deiridh dá shaol. Chuir sé breis agus dhá scór leabhar de gach cineál amach. Scríobh sé an chéad bhundráma i nGaeilge, Tadhg Saor, a foilsíodh ar an Weekly Independent, Nollaig 1899. Deir Liam Mac Mathúna i dtaobh Séadna: “B’é Séadna an chéad iarracht fhónta ar shaothar liteartha fada nua-aimseartha a chumadh sa Ghaeilge, tráth a raibh suim an phobail i gcur chun cinn na teanga dúchais á múscailt”. Mhúin sé an teanga do scoláirí Gaeilge a linne: Tomás Ó Rathile, Eleanor Knott, Gearóid Ó Nualláin, an tAimhirgíneach, Cormac Ó Cadhlaigh. D’fhág sé a lorg go trom ar phrós na teanga nuair a d’éirigh leis a áitiú ar lucht próis na hathbheochana glacadh le “caint na ndaoine”. Tuairiscíodh in Fáinne an Lae 2 Eanáir 1920 gur bronnadh D.Litt. ar an Athair Peadar, ar Phádraig Ó Duinnín agus ar George Sigerson ag cruinniú de Sheanad Ollscoil na hÉireann ‘Dé Céadaoin a d’imigh tharainn’. Ba iad seo a sheiceadóirí liteartha a mbeadh cead acusan amháin eagar a chur ar a shaothar: Osborn Ó hAimhirgín, an tAthair Gearóid Ó Nualláin, An Dr Feardorcha Ó Conaill, Norma Borthwick, an tAthair Risteard Pléimionn, Tomás Ó Rathile, Eleanor Knott. D’éag sé ar 21 Márta 1920.